The Branco Weiss comprehensive school network provides meaningful education, tailored to the unique needs of the teachers and pupils in their community. The Branco Weiss schools rest on an outstanding pedagogical foundation, rooted in the strong tradition of intense engagement and innovation promoted by the Branco Weiss Institute for the Development of Thinking: meaningful learning and teaching for understanding, which support a fruitful and constructive learning experience; flexible learning settings tailored to every pupil, whether excellent or struggling, which push them to do their best; and a variety of pedagogical responses suited to the spectrum of pupils’ intelligences, which allow all pupils to fulfill their abilities and express their talents. Learning is an integral part of the faculty’s work culture: Our educators are committed to constant development and increased professionalization. The schools work in full educational and organizational cooperation with the local authorities. 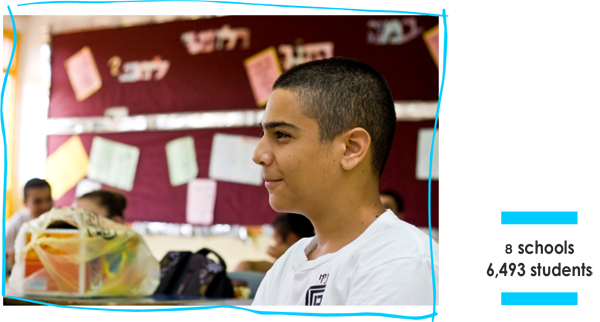 Every school has a board of directors whose members include representatives of the local council, the Education Ministry, and the Branco Weiss Institute. The board oversees the school’s development and determines its administrative emphases. The Branco Weiss schools are under full Education Ministry supervision.